Why so many treatment options for Drug Addiction? 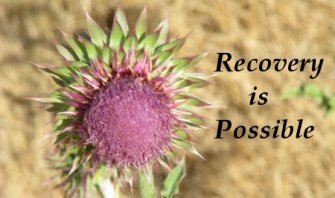 Treatment for drug addiction is custom designed to meet the needs of the person. Are all painters alike? One paints houses and charges time and materials. The other is an artist, who may paint a picture of a house. They are both painters. Everybody is different and they need different solutions to problems. Some may have medical aspects to their treatment plan, such as a drug program of some kind to control withdrawal. Even if two people are addicted to the same drug, they still may require different programs. There are many drug treatment options and consultation with a drug treatment professional. My husband is addicted to opiates/heroin. Question: My husband left three weeks ago saying he was not sure he loves me anymore, he did not know if we were meant to be or not. Two weeks prior he told me after a year of lying and stealing that he was doing pills/heroin and he was very distant. We have been married for 5 years and have 2 little boys almost 4 and 2. I have lost my best friend! He is not in treatment, but he does go to meetings every now and then but nothing consistent. People keep saying all the things he said is the drug or he just doesn't want to face all the hurt he has caused you. Answer: Assuming your husband is opiate addicted, then he is not the same person you've known. Opiates very negatively impact the brain. Opiate addiction is, in fact, a disease of the brain. It's likely changing his brain so that he is convinced that the only thing that will make him happy is using opiates and being with other people who will use with him and help him to get the drugs his brain is convincing him that he needs. Addiction is a mental illness that, if left untreated, is often fatal. So, although it is very difficult, you must try to love the addict but to HATE his addiction. You may be the only person who can break through the fog of addiction and convince him that he must get treatment, go to meetings daily and learn how to battle this disease. I recommend that you find Al-anon meetings in your area and begin attending them at least three times a week. Try different meetings until you find a few that you feel supported in and comfortable. Begin working the 12 steps so that you can more fully understand your husband's addiction and find a sponsor who can help you navigate through this very complex and difficult situation. Once you're working the steps regularly, try to convince your husband to join you and that he needs to go to meetings DAILY for 90 days to truly get the benefits of the steps. Also, try to get him to go to a doctor and find out the best way for him to safely withdraw from the opiates he's been taking. I know it's a lot to do but saving him from his addiction is worth the effort!